Magento 2 has set a very high bar of eCommerce platform standard. Since it is an open-source solution, Magento 2 is more than just flexible and allows its users to utilize both out-of-the-box and third-party plug-ins to streamline their online business. 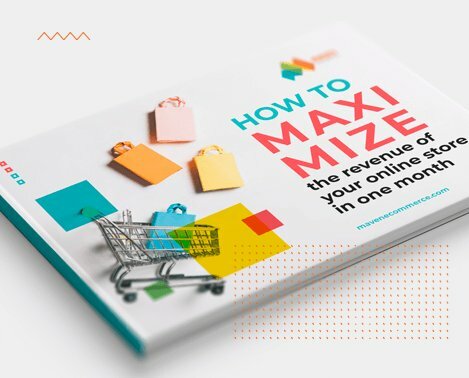 By getting additional extensions installed and integrated with your eCommerce platform, you can easily leapfrog competitors that use just ordinary solutions. We have already shared with you a top list of exclusive extensions developed for Magento 2. You may also find helpful our article dedicated to the inventory management optimization of your web store. Basically, there are still many aspects of online business, which usability can be significantly improved with supplementary modules. 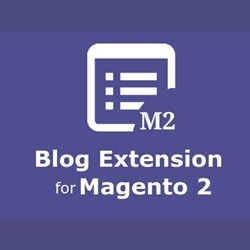 Today’s article is about best Magento 2 blog extensions. Let’s find out why they are so important. Blog is designed not just for exposing private life moments as someone may presume. It plays a vital role in eCommerce, both B2C and B2B as it is ideal for expanding your brand presence and improving customer experience. What do you benefit from having a blog telling prospects about you online business? There are several advantageous features. Brand information center. To increase customer experience is a key for any online business, since 89% of customers state they’ve opted for another brand because of poor CX. So why won’t you bolster it with your blog content? All the customers and leads visiting your web store are interested to know more information about products and services they are going to buy from you. Not just pure marketing stuff, but more likely of information character. Thus blog is the right place to provide prospective shoppers with the effective business content. Social media presence. Sharing brand value across your own channels is not enough nowadays. It is far more efficient to spread a word about your eCommerce project throughout the social media. 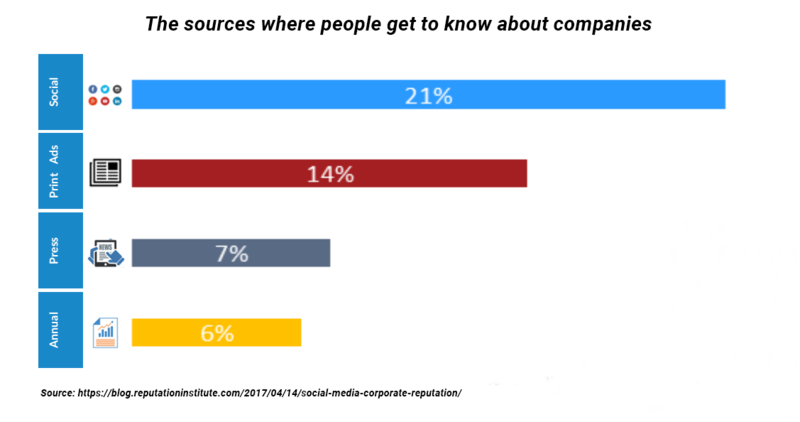 According to Brandwatch stats, 96% of the people discussing certain brands, do not follow those brands’ profiles. So going social seems to be a perfect option to drive a heavy traffic to your website and enhance customer experience. SEO promotion. Great news – now you can pay less to your digital PPC agency! To have a blog means that your articles can strike home with search engines like Google and Bing, thereby putting your web store in the top rankings positions. It definitely brings an additional traffic and ensures a drastic increase in revenue. Having realized how crucial a blog is for any online commercial project, no wonder why businesses are looking for the best third-party Magento 2 development teams to help them integrate blog modules into an eCommerce platform. Versatile Magento 2 blog extensions (provided they are integrated correctly) can immensely boost your web store efficiency since you can always tailor your blog content on the go, according to current customer needs and new eCommerce trends. Here’s the list of the most powerful yet cost-efficient digital solutions to foster your blog functionality. 1.Awesome Free Blog by Magefan This Magento 2 blog extension enables you to make a feature-rich blog for your eCommerce project. You can easily manage all your posts into separate topic categories and associate related posts and related products or services. It ensures multiple languages and websites support. Awesome Free Blog also shows Disqus and Facebook comments under your posts. WordPress importing is available as well. 2.Blog Pro by Amasty Blog Pro is a great solution for creating a professional blog and customize it according with your business needs. It has a smooth layout customization tool to change colors, content blocks position, add social buttons and arrange posts in certain lists. This extension also allows you to build strong SEO-friendly links by adjusting metadata and interactive 3D tags cloud to particular posts or topic categories that drives more targeted audience to your website. It has enhanced responsive design so that your posts look great on any device. Smart sharing options to all the popular social media channels is also guaranteed. 3.Blog by Aheadworks Enjoy a full-fledged Magento 2 blog extension to comply with your web store content needs. 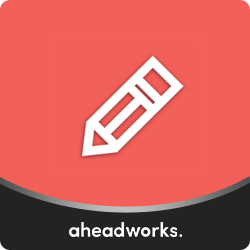 Seamless navigation is the advantageous feature of this solution – you can easily tailor page and post layout, arrange a number of posts per each page and adjust sidebar options. All the media like video or images can be simply integrated into the body of every post. Specify your data into respective blocks and categories. 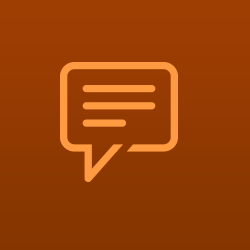 Like the first extension in our list, it allows Disqus post commentary for your posts. The other big time feature that is worth mentioning is its migration tool, meaning that you can import your Magento 1 blog content onto a new platform. 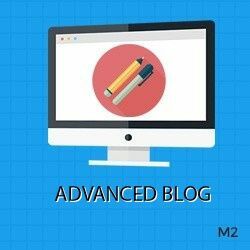 4.Advanced Blog by Elsner Technologies Pvt Ltd It is one of the best blog extensions when it comes to managing your blog posts – you can add, edit, update and delete your content in no time. Another interesting feature is the ability to show your blog/blogs in a slider on the homepage. Responsive design is also up to par, enabling your posts to be adequately demonstrated via multiple devices. And the last but not the least is the option of enabling/disabling particular posts or blog sections. It is quite handy in case you need to hide or highlight some brand information according to the relevance reasons. 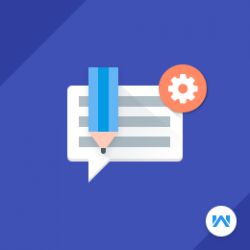 5.Blog Manager by WebKul SoftWare Private Limited Blog Manager is offering us a very effective and customer-oriented feature that build a strong link between audience and your brand. All your registered and authorized web store visitors are allowed to create their own posts and place them within your blog. The customers can even edit or delete the post. Website administrator is able to premoderate the posts and approve or disapprove any of them. Commenting is available both for signed up and guest visitors. It helps you to easily collect customers’ feedback for your further analytics. 6.Simple Blog by Aurora Creation Aurora Creation comes with a very powerful yet user-friendly solution for crating a website blog. This extension ensures easy navigation to manage your posts into different categories from the side menu. The company provides us with a 3-month tech support period, 1 year of free upgrades and a 25-day money back guarantee. This module can be a great option for those who are not quite sure whether their web stores require the blog functionality. 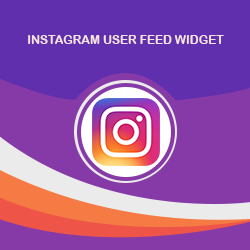 7.Instagram User Feed Widget by Technology Mindz The extension presented by Technology Mindz gives us quite a specific content feature. It lets you connect your business Instagram feed with your web store. A special widget enables smooth displaying of all the Instagram videos and images in your blog posts on any page. The widget itself can be placed at any location within the blog according to web store owner needs and interests. You can also fine-tune recent feeds and manage a number of elements to be shown. Easy to get installed and configured with quick cache-enabled page load time and simplified authentication process. 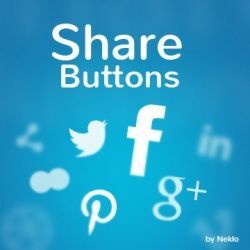 8.Share Buttons by Neklo Developers from Neklo are ready to equip us with yet another advanced Magento 2 blog extension. It assists customers in sharing your blog content across all the social media, including Facebook, Flickr, Twitter, Google+ and Pinterest. It’s been already said above in this article that own channels are not enough for successful brand promotion. So if your blog content is good enough, this module will be of great use and your customers will do the rest. Should you have more questions on this matter, contact us to get a helping hand in getting Magento 2 blog extensions integrated with your eCommerce platform. Thaks for sharing this useful post. This is a great collection of Magento extensions. Apart from this, I want to add BrushYourIdeas in this list. BrushYourIdeas is also Magento based extension allows your customer to create unique printable designs for their products. Nice collection of Magento 2 Blog Extensions!! I want to introduce one more Magento 2 extension which is Appjetty’s Magento 2 Delivery Date Scheduler. It enables your customers to provide with the date and time on which they want their orders to be delivered to a particular address. Magento 2 Delivery Date extension helps you to take the uncertainty out of the entire order delivery process. Good collection, helpful to find the best of all the extensions available!